Your feedback is important to us. Please take a minute to complete the GOTA Membership Survey. GOTA Membership Auto Renew Feature Is Here! Did you know that you can set your GOTA membership to auto renew each year? Never forget to pay your dues again. Join the GOTA Membership Committee Today! GOTA is looking for volunteers to join the membership committee. Contact Nicole Walker MS, OTR/L, (GOTA Membership Chair) to learn how you can get involved and start making a difference! GOTA membership is open to any Occupational Therapist, Occupational Therapy Assistant, Occupational Therapy Student, and Occupational Therapy Assistant Student in good standing with the Georgia State Board of Occupational Therapy and their respective academic institutions. Associate and Organization members are exempt from this status. Membership is based on an anniversary year, and is active beginning the day your application is received. Membership expires 365 days after your initial joining date. Active members receive a free listing in the OT Locator. Colleagues and visitors can search for areas of specialty and by name. Non-voting member of GOTA, but allowed one vote during the election of Student Representatives. Retired OT or OTA or someone who is in the process of reinstating their occupational therapy license in the state. Access to the Members’ only section of the GOTA website that includes issues regarding various practice areas. Access to the online listserv via email. Unlimited access to the on-line membership directory. 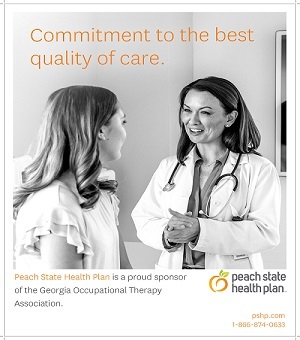 Immediate ability to find OT practitioners in GA using the OT Locator. Access to the Jobline for posting or researching available positions. Access to invaluable professional resources, including: e-mail blasts, and e-Newsletters. Receive regular e-news updates on issues impacting OT practice including legislative, reimbursement and Medicaid issues. Support from GOTA for our profession with lawmakers and the public. Networking with other Occupational Therapists and Occupational Therapy Assistants across the state. Opportunities to seek and share experiences and knowledge with your peers. Opportunities to serve on a committee, build leadership skills or serve as a mentor or to be mentored. 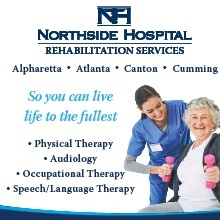 This group supports and promotes occupational therapy. The member may be a company, vendor, hospital or non-profit organization who seeks to partner with the Association. This membership provides one, non-voting membership in GOTA. The individual representing the organization may or may not be an OT/OTA. To obtain voting rights, an Active membership in GOTA is required.